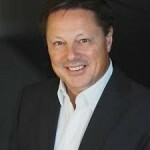 Businesses Must Act Now to Support Call Centric Workers to include contact centre agents – Jabra report outlines business failures to support conversation-driven employee productivity. Research launched by Jabra reveals businesses are struggling with culture, technology and processes that are preventing them from creating great working conditions for some of their most highly-valued workers. These employees are struggling to create productive working environments, with the research showing that the most productive customer service profiles are up to 47 per cent more productive compared to the least productive in the survey. As customer calls grow in complexity, the results indicate that the winning companies will be the ones that invest in working environments that allow for concentration and efficiency. Simple problem-solving conversations on the phone have decreased, yet customer calls are often key when customers find that other problem-solving methods have failed. For workers responsible for these conversations, as many as 36 per cent think there are too many interruptions from colleagues throughout the day and on average 34 per cent find noise levels in their working environment too distracting. These are rated far higher than factors such as the number of calls made per day or too few breaks between calls. They are therefore prevented from producing value in a productive manner and as a result, businesses need to re-think the culture and tools they offer in order to fully enable and maximise the resource of these highly valuable employees. The research defines four groups of workers that are focused on bringing business value through call conversations with customers. These groups have varying priorities depending on how the calls need to be handled: efficiently or delivering strategy value. Some invest more time on calls, some on concentration when preparing for calls. The call centre agent group is struggling at different levels to achieve concentration, avoid interruptions and over-communication through too many meetings and too many emails. As well as technology issues, they all experience challenges with their physical working environments, with open plan offices in particular adding to the concentration challenge. For many organisations, call or contact centre agents are a key communication method for their customers. This group of people are highly specialised in conducting high volumes of calls, either inbound or outbound. Almost half of people that talk and listen for a living are in a call centre agent role or similar. Challenges faced by this group of individuals are partly due to the efficient interactions they need to conduct. The complexity of the conversation is relatively low, so there is less need for time between calls to prepare or take action. The efficiency they are seeking is prevented by noise levels in their nearby surroundings in the office environment and because of interruptions from colleagues. This adds to stress levels, as does too many calls during the day and too few breaks. The solution for call centre agents is to provide them with a larger private zone within the office environment. Very often this environment is open plan so call centre agents need to find a way to increase their conversation zone within this space. they are 25% more engaged in their job than the least productive and the most productive also raise less issues with their manager about satisfaction and environment. 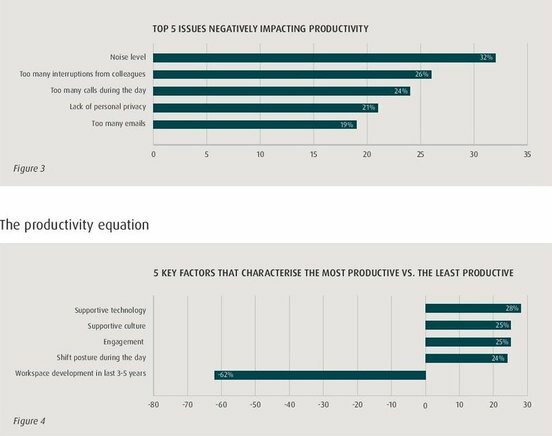 The least productive workers are 17% more likely to look for a new job in their current situation and 62% more unhappy with the workspace in the last 3-5 years. Whilst many businesses recognise the importance of customer service, the value this group of workers offer is the level of interaction with customers. They should therefore be the same priority level – especially as research suggests perception of customer service does not match the reality that customers experience*. 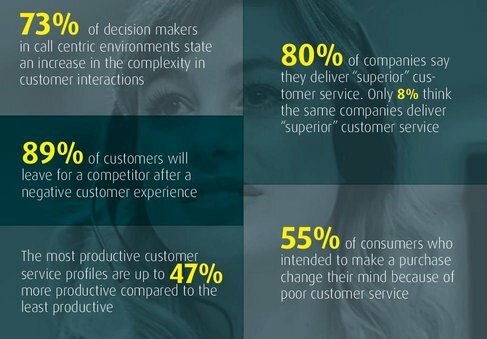 80% of organisations say they deliver excellent customer service, yet only 8% of customers agree*. The jabra research was carried out across seven countries (US, Germany, UK, France, Sweden, China and Australia) polling the views of 3,166 call centric workers. Be the first to comment on "Businesses Must Act Now to Support Call Centric Workers"